Keeping Cinnaminson Township tile and grout clean and looking its best is tough work. Even more so if the grout has not been properly sealed. Some types of flooring tile tend to trap dirt. Grout can easily become stained. If you're not happy with the look of your tile and grout in Cinnaminson Township a cleaning by I Clean Carpet And So Much More LLC can get you back in shape. We've been cleaning area tile and grout to perfection for over 10 years. Call (267) 495-5188 for a free quote on having your tile and grout cleaned right! Grout and many types of tile are generally very porous. That means that millions of tiny holes and divots can trap dirt and debris, causing your beautiful tile work to become dark and dingy over time. 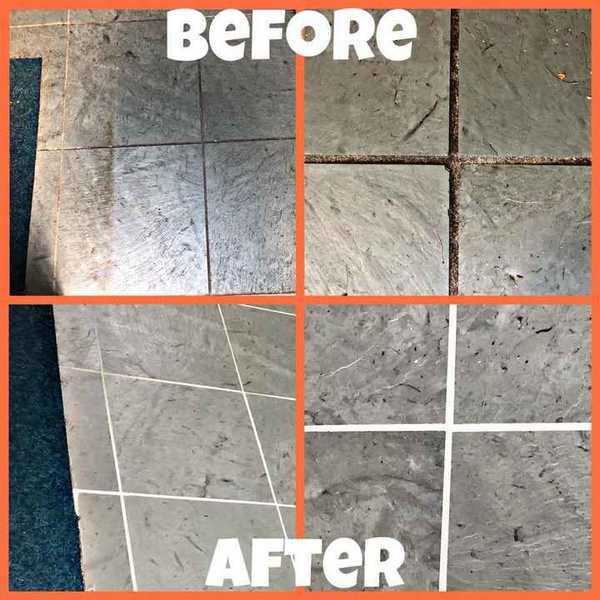 I Clean Carpet And So Much More LLC specializes in restoring grout in Cinnaminson Township New Jersey by expertly cleaning it, then sealing it to make it less porous. I Clean Carpet And So Much More LLC uses high powered machines that apply hot water using pressure that puts force on dirt particles stuck in your tiles, which breaking them free and cleans the surface. Pressured hot water gets into crevices to flush out tough dirt. I Clean Carpet And So Much More LLC's Cinnaminson Township tile and grout cleaning technicians will arrive armed with the toughest tile cleaning equipment to give you the deep clean you're after, while protecting your flooring investment. Call (267) 495-5188 for a free quote. When it comes to fast, thorough Cinnaminson Township tile & grout cleaning, no one beats I Clean Carpet And So Much More LLC's high pressure hot water extraction process.